Two major contracting groups hailed House passage on Thursday of a long-expected resolution to undo the Obama administration’s 2014 “Fair Pay and Safe Workplaces” order requiring contractors to report past violations of 14 labor laws. 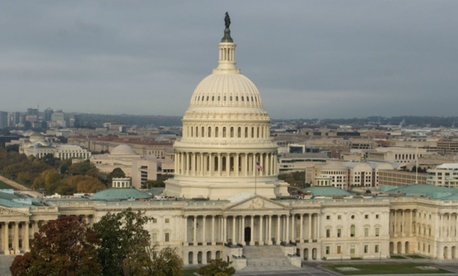 House joint resolution 37, sponsored by Rep. Virginia Foxx, R-N.C., declares that the implementation rule submitted in August by the Defense Department, General Services Administration, and NASA relating to the Federal Acquisition Regulation has no effect. That view was echoed by the Associated Builders and Contractors, whose local affiliate had filed a successful court challenge to block the rule from taking effect last fall. That group “has vigorously fought the Obama administration’s illegal blacklisting rule, which would have treated frivolous accusations of wrongdoing as grounds to prohibit qualified contractors from performing federal work," said ABC Vice President of Regulatory, Labor and State Affairs Ben Brubeck. House Small Business Committee Chairman Steve Chabot, R-Ohio, said the vote was necessary because “the blacklisting rule will force innocent small businesses to settle unproven claims, disclose commercially sensitive information to their competitors, and report information the federal government already has,” which ultimately forces small businesses to go under.